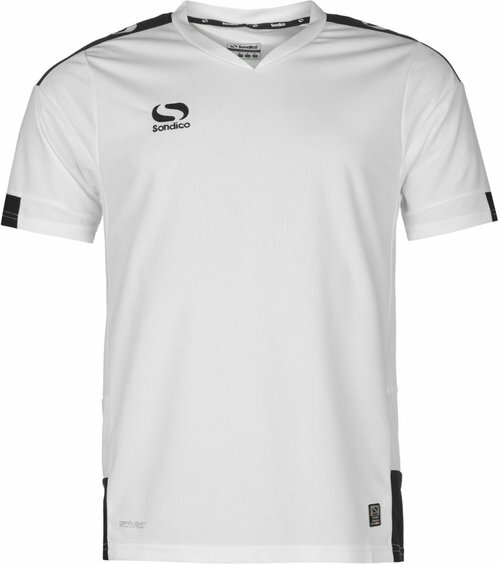 This Sondico Mens Training Jersey is designed to help you perform to your maximum on the pitch. It features Optivent technology, which works to draw sweat away from the body to keep you cool and dry, while being lightweight and quick to dry. The top has a crew neck design, mesh panelling under the arms for ventilation, contrasting colour shoulder stripe with Sondico logo, contrasting colour panels plus further stitched Sondico logo and branding to the front.